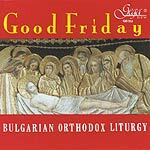 Orthodox chants performed by the Mixed Choir - Bulgaria. Soloist: Protodeacon Stefan Markov - bass. The conductor has selected nine of the most popular chants for festive services dedicated to Lord Jesus Christ and his sufferings during the last three days of his earthly life. Famous composers of Russian sacred music like Kedrov, Bakhmetiev and Tchaikovsky, as well as the Bulgarian Dobri Hristov, arranged and harmonized the old church motifs, thus turning them into brilliant pieces full of compassion and glorification of Christ's sacrifice. The chants are sung in Church-Slavonic with the fluency and timbre variety characteristic of East-Orthodox music. 1 Great litany - N.Kedrov,Jr. 6'13"
2 Good-looking Josef – Bakhmetiev 8'05"
3 Grave - wailing - D. Hristov 20'43"
4 Eulogitarium - P. I. Chaikovsky 6'15"
5 Kanon for Good Saturday - Bakhmetiev 9'04"
6 Small Litany "Holy Lord" - M.Popsavov 2'49"
7 Every breath - Bakhmetiev 1'30"
8 Great doxology - P.I.Chaikovsky 6'47"
9 Mournful "Holy God" - Bakhmetiev 2'34"